It was the dead of winter, and heavily bundled crews in South St. Paul were conditioned to work late into the night in often bitter-cold temperatures. The city maintained about a dozen outdoor rinks in the 1970s, and on weekend mornings each of them – magically it seemed to the hordes of kids who skated on them – had a fresh sheet of ice. 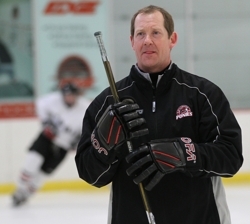 For a young Phil Housley, digging his skate blades into a pristine hockey rink was more exciting than ripping open presents on Christmas morning. “I had my mom get me up really early in the morning,” Housley said. “She would drop me off at about six, six-thirty. I would just be out there skating, stickhandling and shooting by myself for a couple of hours before the rest of the kids started showing up. Those smooth-ice solo sessions helped Housley develop a silky skating stride unlike anything the state had ever seen. As a youth hockey player, Housley had the ability to, literally, skate circles around his opponents. He scored 118 goals as an eighth grader at the Bantam A level, and he was playing a regular shift for talented and deep South St. Paul High School as a freshman. How much ice time did Housley get? Housley doesn’t recall feeling like he should be on the ice more as a freshman. He does, however, remember losing to St. Paul Harding and a scorching-hot goaltender by the name of Chuck Weiss 1-0 in the 1979 Section 4 championship game. 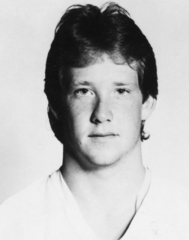 As a sophomore during the 1979-80 season, Housley helped lead the Packers to the state tournament. They lost to Minneapolis Southwest 5-4 in the quarterfinals after Housley had scored with 28 seconds left in regulation to force overtime. “You felt like you were skating in quicksand the first couple of shifts until you got your feet under you,” Housley said about playing in the state tournament. “I remember the guys mauling me and the fans going wild after we scored late to tie the game. After beating East Grand Forks 5-3 in the consolation semifinals, South St. Paul lost to Irondale 4-3 in the consolation championship. The following season, as a junior, Housley created a statewide buzz with his exceptional skating and scoring ability. He scored 28 goals and 26 assists as South St. Paul again reached the state tournament. South St. Paul beat Edina West 2-1 in the quarterfinals, earning another meeting with Irondale in the semifinals. Irondale was clinging to a 4-3 lead late in the third period when Housley drew a tripping penalty. Irondale scored a late goal to win 5-3. South St. Paul took third place, with Housley scoring a goal in the 3-1 triumph over Apple Valley. 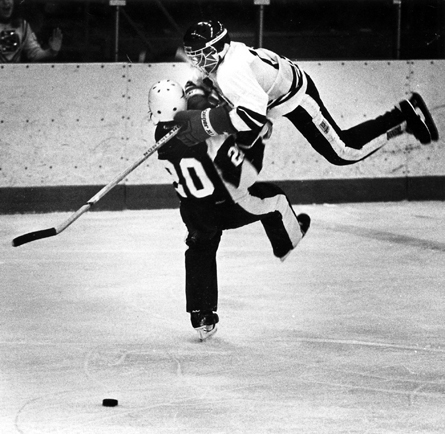 Housley scored 31 goals and added 34 assists as a senior in 1981-82, but the Packers were stunned by Henry Sibley 6-4 in the Section 4 championship game. "He was the best high school player I played against," said Eagan coach Mike Taylor, who played for Apple Valley and graduated a year ahead of Housley. "He could just take the puck and do whatever he wanted with it. We all went to college, he went to (the Buffalo Sabres)." Coveted by college coaches and pro scouts, Housley played in the World Championships that spring – unheard of for a player so young – and a few months later was taken with the sixth overall pick in the 1982 NHL Draft by the Buffalo Sabres. 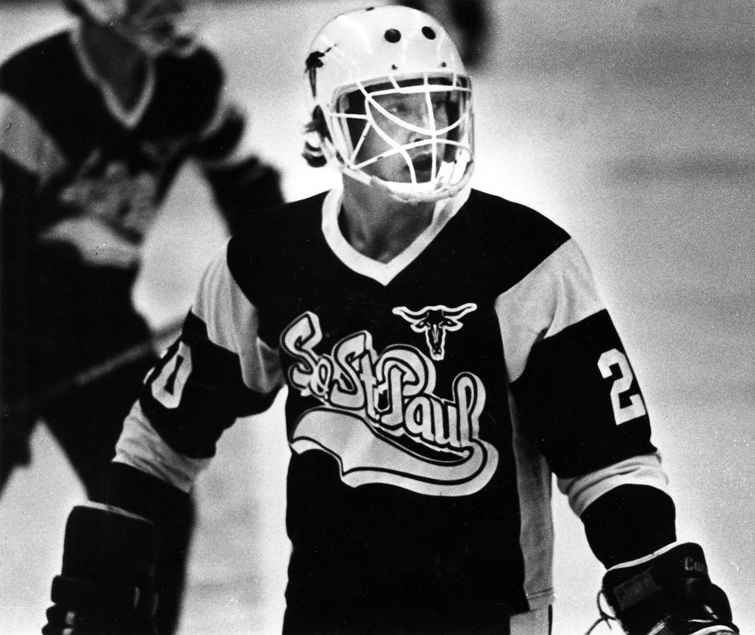 Although he had accepted a scholarship offer from the University of Minnesota, Housley instead went straight to the NHL. He scored 19 goals and added 47 assists as a rookie in 1982-83 and was runner-up in voting for the Calder Award to Chicago’s Steve Larmer. No other Minnesota high school player ever has gone straight to the NHL. 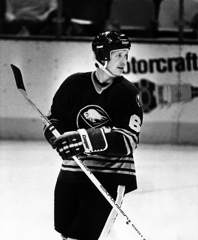 Housley played in the NHL All-Star Game seven times in an NHL career that spanned 22 seasons and 1,495 regular season games. Housley, who was selected to play in the NHL’s All-Star Game seven times, was the highest scoring U.S.-born NHL player with 1,232 points when he retired in 2003. Mike Modano broke the mark in 2007. The head boys’ hockey coach at Stillwater High School, Housley and his wife, Karin, have four children, Taylor, 24, Reide 21, Wilson, 20, and Avery, 14.